Studentships The Athenaeum Singers are pleased to offer Studentships to young singers who can benefit from the opportunities we offer. Studentships are likely to be of interest to sixth form students who are studying Music, performers who wish to develop and expand their skills, or those who simply enjoy singing. Studentships qualify for a reduced subscription of just £30 per year. Come to your first three rehearsals without commitment, subscription only due if you decide to join. 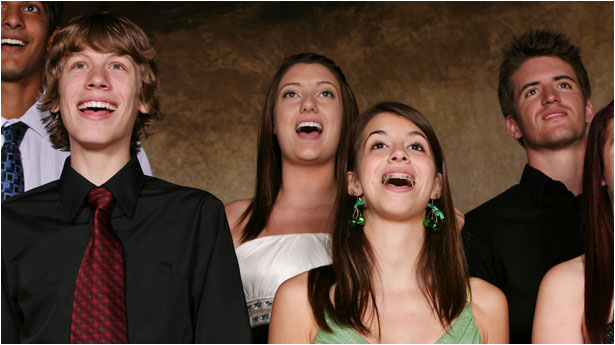 Exposure to a wide range of choral repertoire, from the classic choral greats to contemporary compositions. The opportunity to work with a talented and inspirational Music Director. The opportunity to develop vocal technique and musical skills. The opportunity to perform with first class professional soloists and orchestras. An interest in and commitment to choral music. Basic music reading skills. These skills will be developed through rehearsals but a sound foundation is highly desirable. Willingness to attend rehearsals and workshops regularly.